Off to an amazing start…children helping children….thank you for your strong support Kyle!! 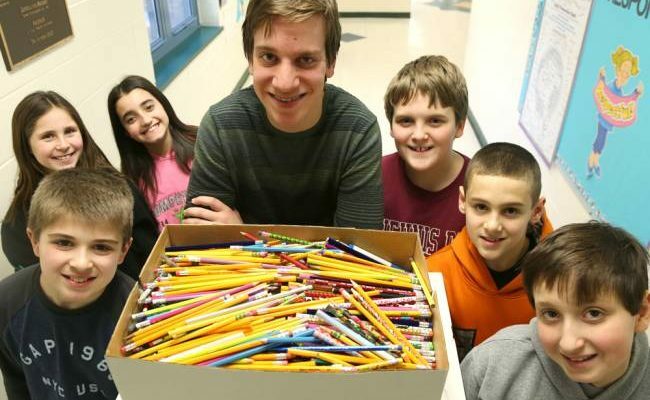 Pencils roll around classroom floors, forgotten in drawers and backpacks and wedged between car seats — unused, discarded, wasted. Yet elsewhere in the world, one pencil is a rare and treasured thing. That inequity so bothered Kyle VanDerVelden, a 16-year-old junior at Wayne Hills High School, that “I just decided there was definitely something that I could do,” he said.